Greece: a land of legends, history, philosophy, art, eros. But it’s kind of too hot for that most of time, so how about lazing around on a gorgeous beach instead? It’s got all the right geography — thousands of islands, warm azure sea, and dose of brilliant sunshine. 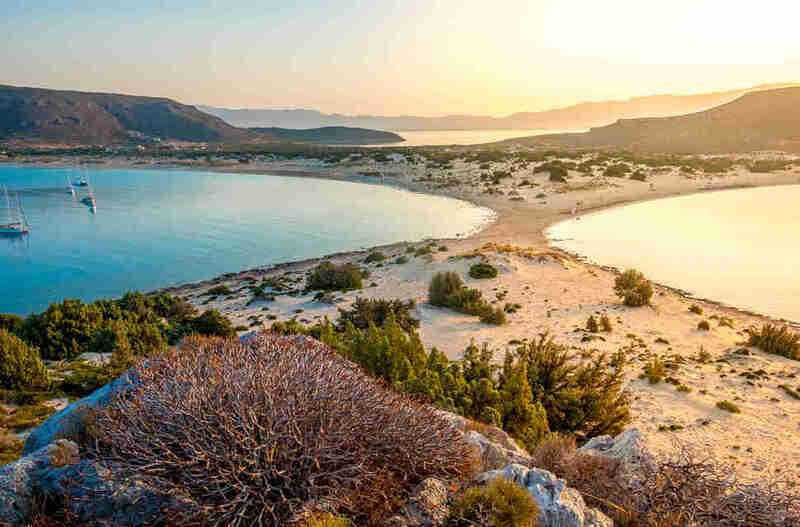 You may not have an opinion yet as to whether you prefer the feel of the Aegean or the Mediterranean Sea, but why not go island-hopping and try out your powers of discernment? 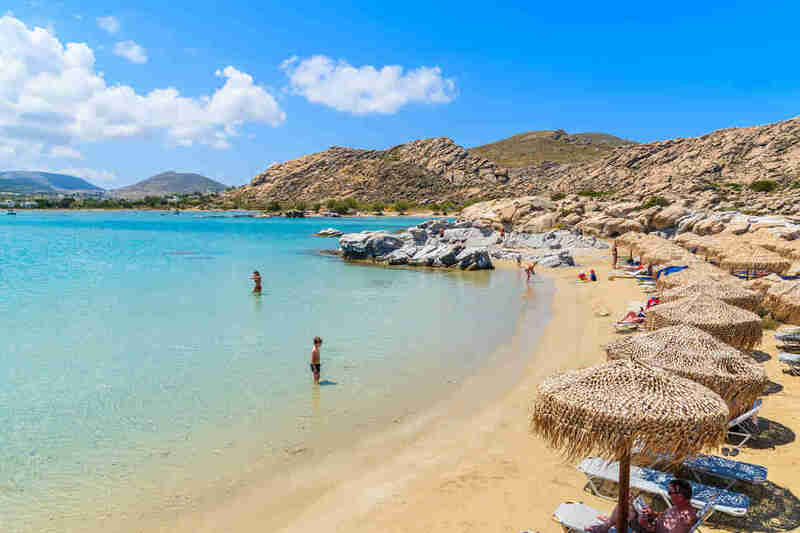 Your list of favs might differ, given that Greece has something like 8,000 miles of coastline and correspondingly ridiculous number of beaches, but here — featuring Hollywood superstars and shipwreck stunners — are definitively the very best beaches in Greece. 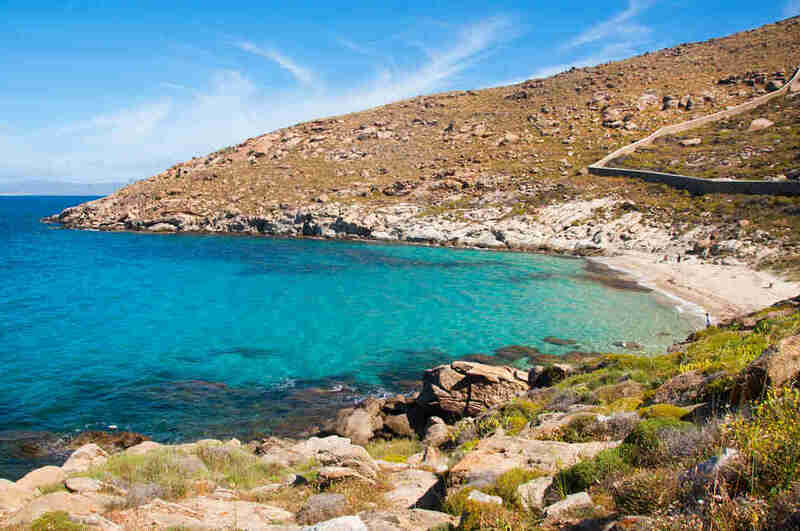 The island of Paros is an unsung Greek hero. 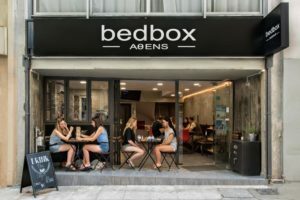 It’s in the very same Cyclades group as the big boys like Santorini and Mykonos, minus the cruise ships and budget airlines — so you get more of it to yourself. Among the sleepy sands and family-run tavernas all over the island, the pick of the bunch is at Kolymbithres. There you’ll find a series of secluded coves backed by dramatic granite rock, and a tip-top beachside restaurant cooking up the catch of the day. This is the beach from Captain Corelli’s Mandolin — you know, the one where Nic Cage somehow persuades Penelope Cruz to make out with him. It’s an A-list strip of sand alright: broad, laundry-commercial white, and flanked by forested mountains. The Ionian Sea is a translucent turquoise, gently breaking in the shallows. For Hollywood views, hike to a perch on the northern headland. 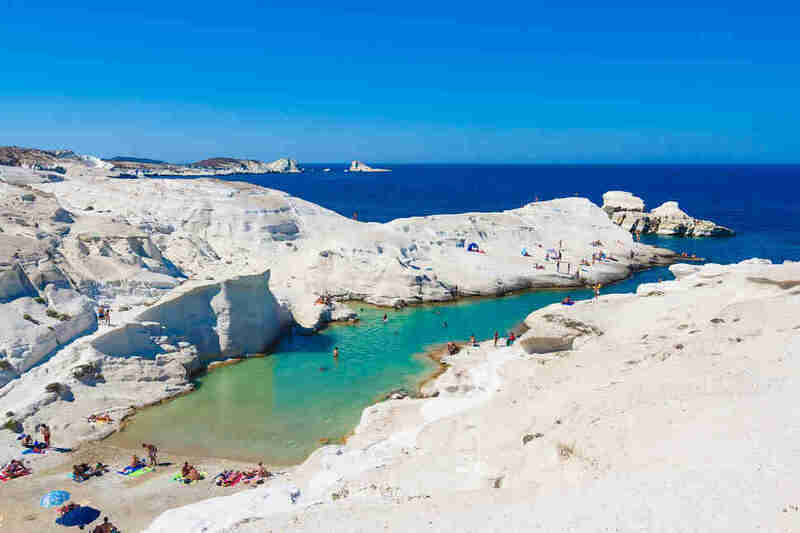 I know what you’re thinking — that this little cove looks far too small for more than a dozen or so spread-out towels, and that on a busy day you’ll be elbow-to-elbow with everyone else. 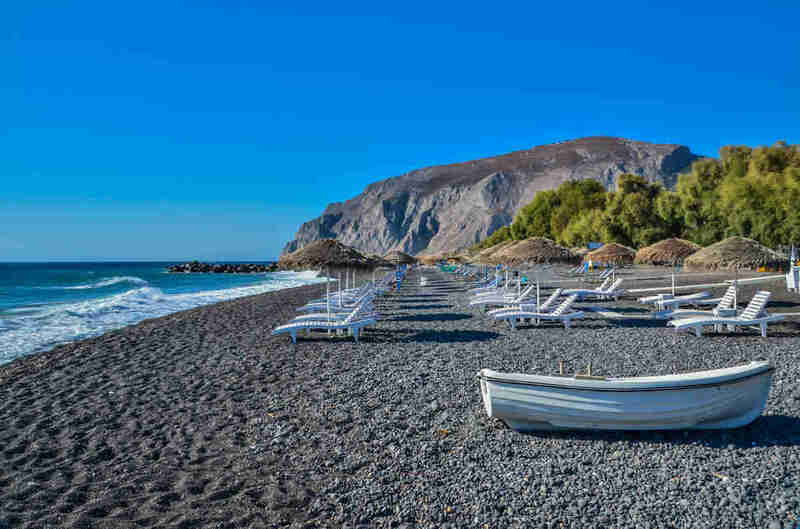 The beauty of Sarakiniko (apart from the actual, brilliant-white beauty) is that the banks of smooth volcanic rock are just as good for sprawling on as the beach itself. And you can leap into the turquoise waters from your own private platform. 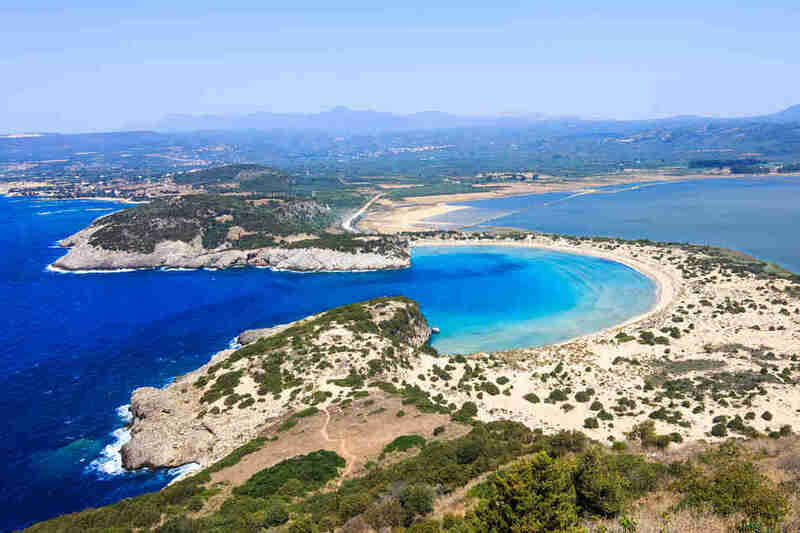 History buffs can geek out on the mythical past of this beach: it’s where Nestor and Telemachus met, and also where Hermes hid 50 stolen oxen (presumably so he could start his premium leather handbag business). You can hike around the birdlife reserve, hit up the 13th-century castle ruins, or windsurf in the bay. Or… you could just pick a spot to flop by the beautiful blue lagoon. 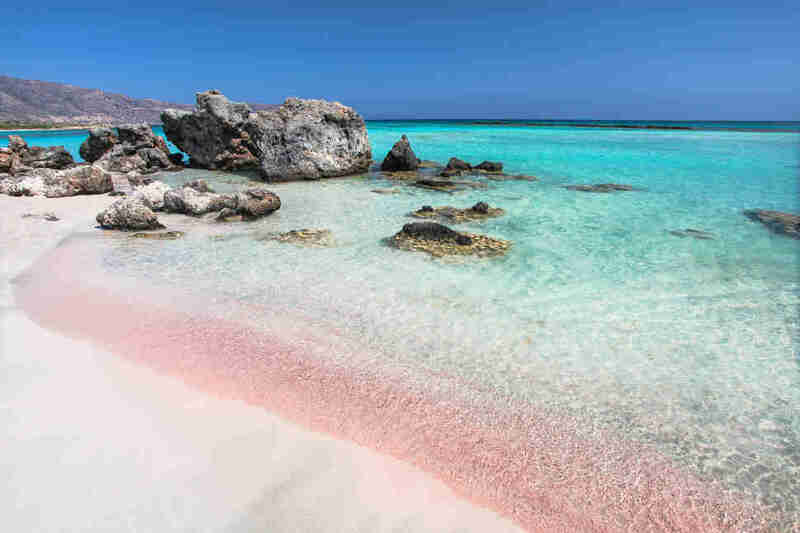 What’s better than a white-sand beach lapped by the aquamarine Aegean? 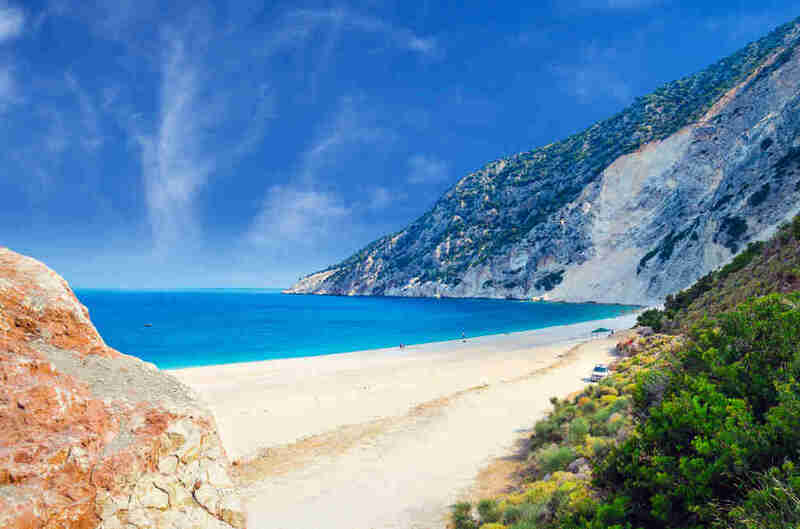 Two white-sand beaches lapped by the aquamarine Aegean, of course. Megalos Simos and Mikros Simos are joined by this slender strip, forming the kind of curly “X” shape you last saw in algebra class. The island is just off the index finger of the Peloponnese, so it’s hard to get to (but worth the effort). 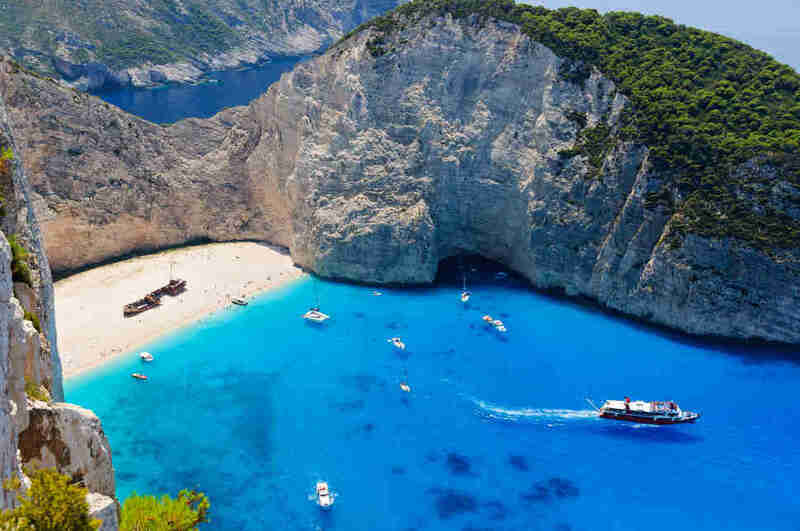 If you’re going to run aground, you’d want it to be somewhere like Navagio Bay. That’s exactly what happened to a cigarette smuggling ship 30-odd years ago — presumably the crew consoled themselves by lighting up on the spot. The rusty hull still lies on the sands (hence the name, which translates as “Shipwreck Bay”), giving the beach its unique, brochure-ready look. You can only get there by boat, but don’t expect to be the only one who makes the effort — this is a superstar beach, and everyone knows it.